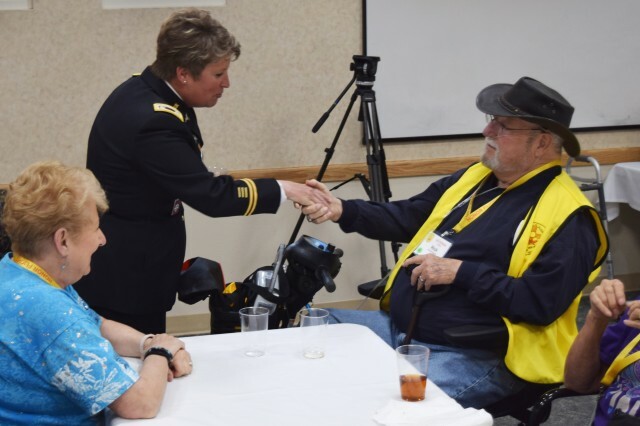 Lt. Col. Kirsten Swanson paid tribute to 28 veterans from World War II, the Korean War and the Vietnam War, and then administered the Honor Flight Oath before they set off on a three-day journey to Washington D.C., on May 1, 2019. 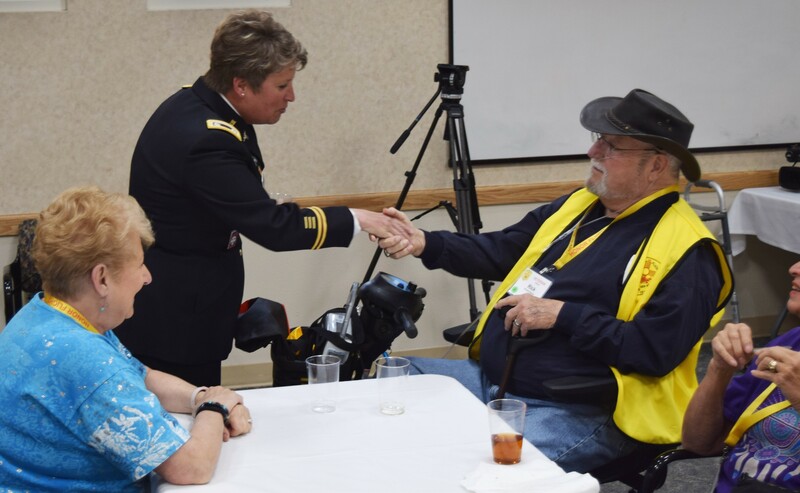 Swanson, Commander of the McAfee U.S. Army Health Clinic at White Sands Missile Range, represented WSMR at the Honor Flight Southern New Mexico Mission 12 Pre-Flight Meeting in Las Cruces. Honor Flight is a nonprofit organization dedicated to providing veterans with honor and closure. Its mission is to transport America's Veterans to Washington, D.C. to visit memorials dedicated to honor the service and sacrifices of themselves and their friends. It consists of 131 Honor Flight Hubs in 45 states. 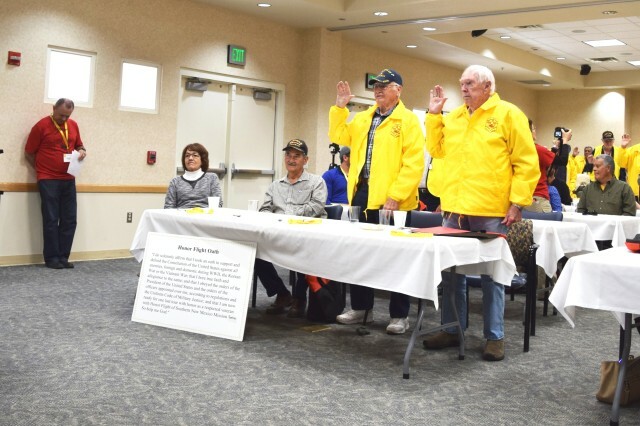 Honor Flight Southern New Mexico was established in 2008 by business and community leaders devoted to honoring our veterans. It also serves El Paso. 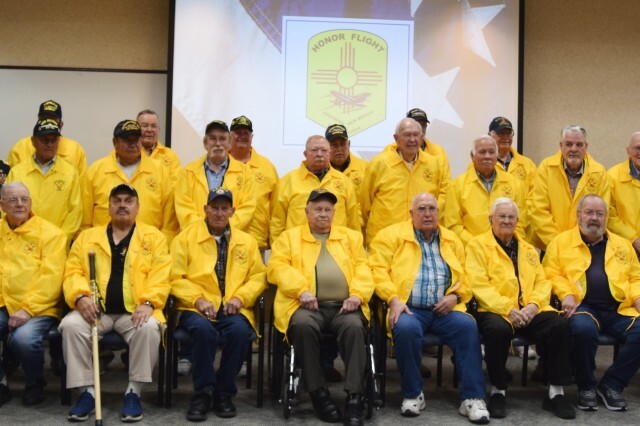 The Honor Flight trip in May marks the twelfth mission for HFSNM, serving more than 360 veterans. Swanson expressed her admiration for their honorable service during her remarks as guest speaker. "Over 70, 60, 40 plus years ago since the end of World War II, an agreement signed in Korea, and an accord in Vietnam would bring you all home. Home to families and friends with a continued connection to your fellow comrades," said Swanson. "Thank you for your continued service here at home where you took those engrained values and brotherhood to take care of your families and make your communities better. You continue to inspire all of us." Her words of praise resonated with Antonio Ortiz, an Army veteran from the Vietnam War who said joining fellow veterans for the Honor Flight 12 mission brought back a lot of memories many have never discussed with family or friends. "It's an experience that's hard to describe," Ortiz said of being an Honor Flight participant. "It takes you back to when you were drafted or volunteered. It brings back a lot of memories, and a relief from within a lot of us."